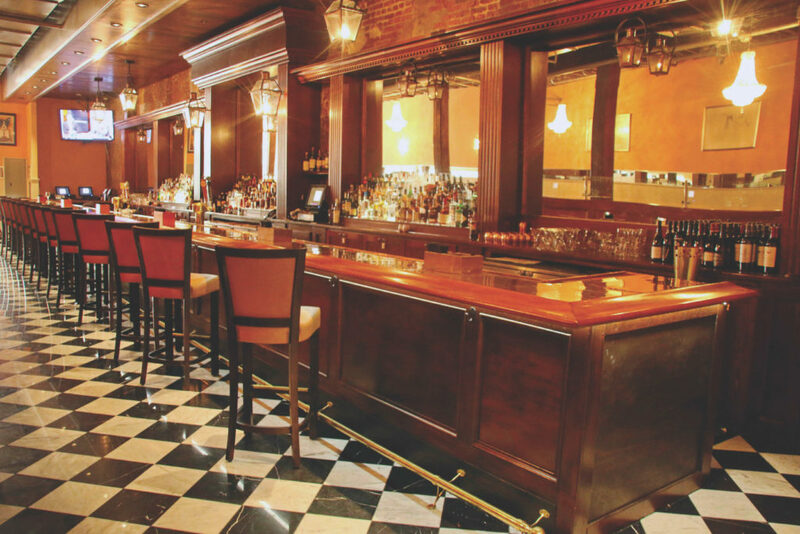 IN THIS CITY THAT EMBRACES rebirth with pizzazz, the return of Ted Brennan’s family to our fine dining scene in New Orleans is cause for celebration! At the helm of the newly opened Ted Brennan’s Decatur are siblings Bridget Brennan Tyrrell and Teddy Brennan, both of whom learned first-hand the nuances and fineness of Brennan restaurant traditions. 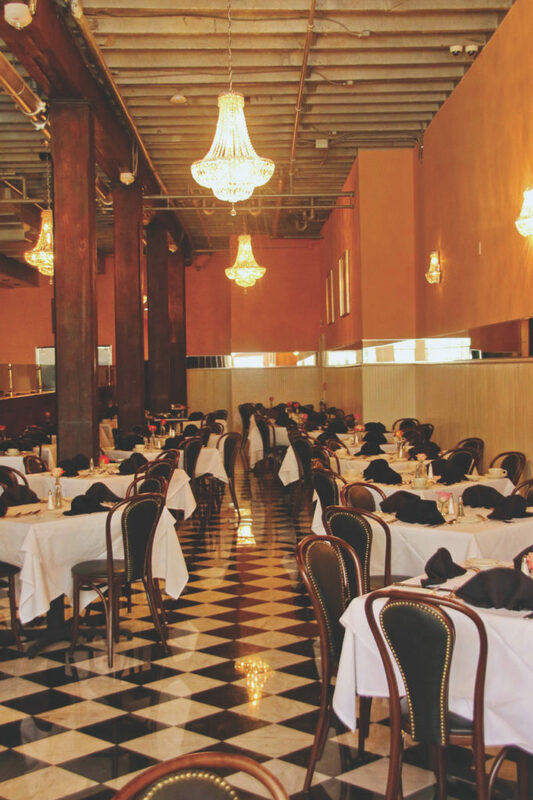 Following in the footsteps of Owen Brennan, Bridget and Teddy’s grandfather, who founded the Brennan legacy, their father Theodore “Ted” Brennan, along with his brothers Owen “Pip” and Jimmy Brennan, were the principals who ran the Royal Street restaurant for decades, steering it through post-Katrina rebuilding, until the restaurant’s final closing in 2013. Teddy and Bridget shared in their father’s initiative for developing Ted Brennan’s Decatur. 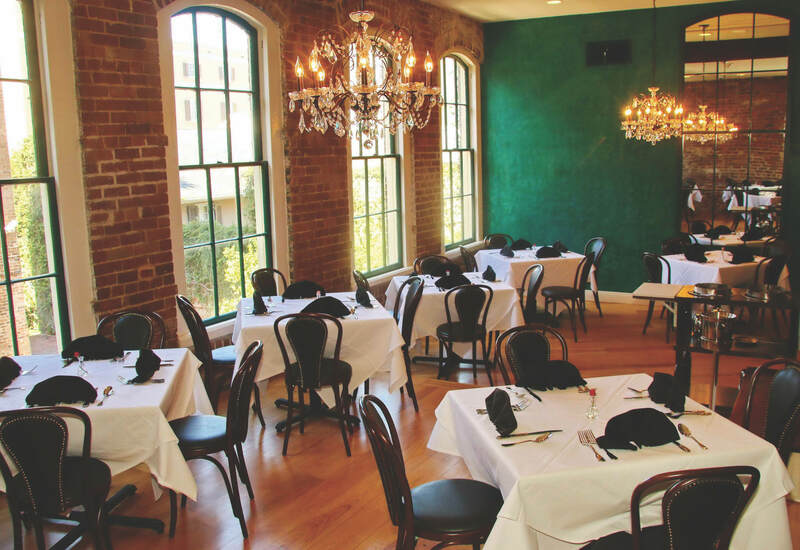 Their collaborative effort began in 2014, but just like their Grandfather Owen, who died months before the realization of his dream, Brennan’s Restaurant on Royal Street, Ted Brennan did not live to see the new restaurant’s opening. With Teddy and Bridget holding firm to their heritage and blessed with assurance from their mother, Ellen Cohen Brennan, the opening of Ted Brennan’s Decatur is a tribute to their tenacity and a living testament to their father’s vision. The intimate setting of the downstairs dining room is traditional café style; bentwood chairs and polished marble floor in classic black and white, accented by soft luminescence from overhead chandeliers, give the ambiance of a European bistro—until you open the menu and realize you are about to encounter the luscious flavor of true New Orleans cuisine. Just reading through the listing of delectable choices, you know you’re home with such classics as Turtle Soup, Trout Pecan, Eggs Hussarde and Bananas Foster Blangé, along with fresh tastes that celebrate our local bounty with delicious chic. With a nod to their legacy, the restaurant Bridget and Teddy have created is stunningly organized—it’s a place where the business traveler can enjoy a full menu of specialties while comfortably seated at the bar, where locals can celebrate in the privacy of exquisitely appointed upstairs dining rooms, where drop-in diners can experience traditional New Orleans cuisine just steps away from Canal Street. While traditional in every sense, Ted Brennan’s Decatur sets the tone for dining in casual ease. Separated from the downstairs dining area, the mirrored wall behind the bar expands the space with reflections of carriage lanterns, casting soft light onto the copper bar top, stretching its welcoming glow the entire length of the room. The second floor houses banquet space that can host five separate events but may be reconfigured as each event requires. The most intimate of these, the Wine Room, which accommodates from twelve to twenty guests, is staged with a massive original art rendering depicting vintage bottles of spirits from the fabled Wine Cellar. Ideal for larger receptions is the grandiose Patio Room, its bank of floor-to- ceiling windows overlooking the tropical foliage of a neighboring Vieux Carré patio. Named to honor Chef Lazone Randolph, the stylishly appointed Randolph Room combines a touch of emerald with the elegance of softly polished pine floors, flooded by the natural light of a windowed wall set in antique brick, and graced with mirrored reflections of sparkling crystal chandeliers. Most reminiscent of gracious Southern hospitality are the adjoining Red Room and Gold Room. Individually, each has its distinctive character apropos its name. The rooms are separated by massive pocket doors, which when opened, extend the spaces for seamless flow of cocktails to seated dinner or for occasions of reception-style entertaining. Grounded by their close relationship, Bridget and Teddy share more than just sibling shenanigans. Teddy emphatically states, “I always knew I wanted to be in the business with Bridget.” Their shared experience allows them to work together with common purpose. That, and the expertise of their loyal staff—like Chef Randolph and maître d’ Jorge Blanco, whose thirty-plus years with the Brennans presents poise in overseeing the “front of the house”—all combine to bring continuity to Ted Brennan’s Decatur.